I've always been one to favour elderly advice. If I could pick one person to sit down and have lunch with me, it would be my late grandfather, Joe. There was something about his patience and wisdom that always brought the greatest clarity to me. This week's Not A Model mantra comes from seventy-nine year old designer Oscar de la Renta as he discusses his new fragrance "Live in Love." 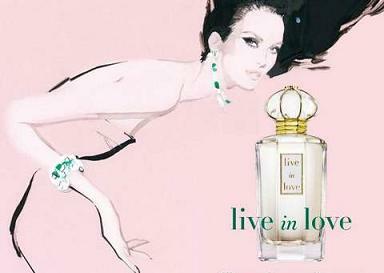 I personally admire his choice to use an illustration for the fragrance's image, rather than a supermodel. (See photo above). While reading a recent article about the fragrance, he also seemed to provide insight on life in a way that only someone who has lived it, can. This week, take a note from de la Renta. With the most joyous holiday of the year coming up, let's not wait until then to appreciate the days. Live in love! Love that. Nonno was such a wise man! So adorable. Great post, Amanda! I also like this post . 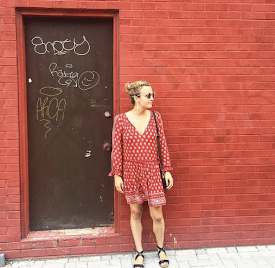 Such a great post about model fashion. So interesting to me. Thanks for share this post.